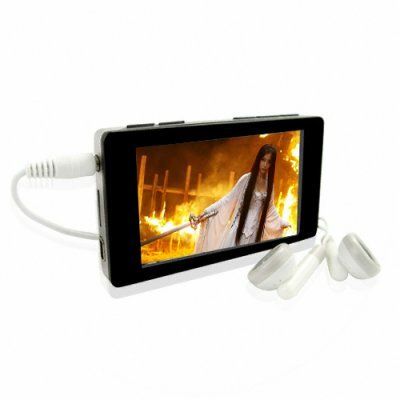 Successfully Added Glossy Black Super Style 3 Inch LCD MP4 Player -8GB to your Shopping Cart. We are happy to bring you this new, charismatic media player that was previously only available to billionaires and rock stars. Finally, you too can fall in love with its gun metal casing, glossy black front with a huge and vivid 3-inch LCD screen. It's one of the most versatile media players on the market today and the perfect accessory for your fast lifestyle. Load up your favorite movie or song as you jet-set from New York to London. It's got 8GB of internal storage as well as a micro-SD slot for virtually unlimited hours of entertainment. When you're done partying, feel free to read an ebook or view photos on this technological wonder, especially during those quieter moments. Chinavasion offers this new digital portable media player with an astounding no M.O.Q. (no minimum order quantity), so you can try one for yourself to see how well it works. Then you can order stock of this new PMP to sell at your online / physical store or feature it in your latest eBay, Amazon or uBid listings. Sleek looking, pocket sized media player with 3 inch screen. Supports all of todays popular file formats including; AVI, MP3, WMA, WAV, RM, RMVB, JPEG, GIF, BMP.